Bookings at Centres, Church’s & Special Events 2019. 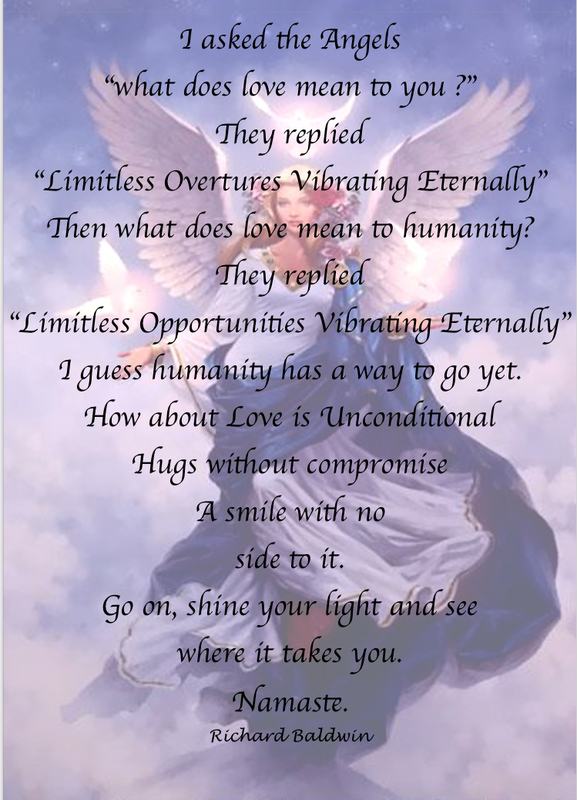 There are no limits to the love that created you, only you create the limits that control your life, break free and learn how to work with your Divine connections. You are your own power house of light and love. Be true to the light and then you are being true to you. 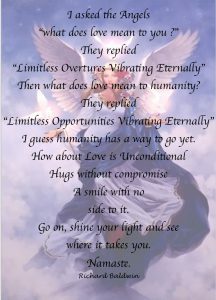 The Angels are all around you waiting for your thoughts, words and prayers to open channels of communication, their energy is so close it wraps around you each time you send out and share your love with the world. There are Angels everywhere even in the darkest places they bring their light through the love of the Great Spirit and encourage us to change. Please check out my workshop page. guided and restricted by your beliefs. Which is all you really need to know! Home is Basildon Essex, I am a registered healer, ‘NFSH’ Reiki Master, Reflexologist ‘MBSR’ (Retired) and Spiritual Medium. My spiritual work started in the late seventies, this is when I began to recognise my spiritual journey. There is no charge for healing, but I accept donations, which are passed on to the local hospice or EH&PPS society. Work consists of teaching about the spirit world this is to help those who wish to develop their spiritual gifts in small inspirational groups, through workshops and circles in Essex, also by invitation to work in spiritual churches and halls demonstrating mediumship. This work can involve raising money for local churches, charities, and organisations based anywhere in the country. Evenings of communication are held normally in “Spiritual churches or Spiritual Centres” where I explain with help from spirit about the spirit world and its philosophy. When invited I investigate spiritual phenomena in people’s homes and help to rescue the lost souls that can sometimes interfere with our daily lives. There is no charge for this service, but donations towards my travelling costs are appreciated. I am available for one to one private readings, tuition & teaching about the spirit world. When requested I see people individually, or visit small family groups to answer questions regarding the spirit world. Regular donations are made to charity with the money raised through this work copies of all receipts available on request. my light expands and grows. and the World is at Peace with Me. Heaven is full of good works.